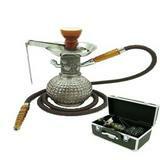 Mya Hookah is considered by many to be among the finest hookah brands in the industry. 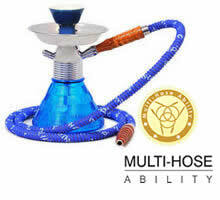 We at Southsmoke.com are proud to offer a wide variety of amazing Mya hookahs for you to smoke from and enjoy. For over 40 years, the Mya Saray hookah brand has manufactured hookahs for true aficionados that know quality hookahs when they see them. Get yours today from SouthSmoke.com and see the difference for yourself! 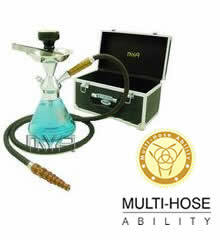 Mya Saray is known worldwide for manufacturing premium Acrylic and Bohemian Hookahs. 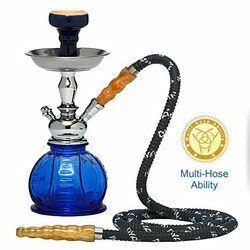 Mya hookah parts combine traditional elements with exotic attributes that really make them stand out from the crowd. When you smoke a Mya Hookah, you will no doubt appreciate the intricate detail and superior level of perfection that goes into each and every piece. 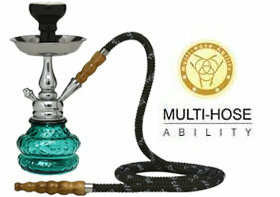 Mya hookahs come in a variety of different sizes and styles to suit all smoking needs. 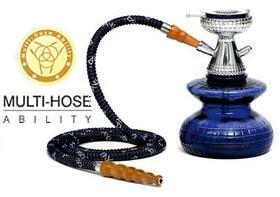 Every type of hookah smoker is covered, from those who like to go big to more humble hookah fans. We offer you giant 31" models like the Blizzard and the Frost. Or if smaller is more your style, the Mya Petite line of hookah has several pocket-sized options for you to choose from, including the 8" Mikro Mya and 11" Mya Bambino. And of course Mya has hookahs for every size in between. No matter what size hookah you end up choosing, you can be sure you're getting a quality piece with Mya! 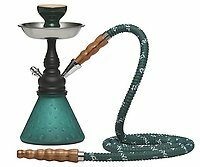 As if the appeal of your very own beautiful Mya hookah wasn't enough to grab your attention, we at SouthSmoke.com are providing you with added incentive to choose this one-of-a-kind brand. We include hookah accessories with every Mya purchase, including premium hookah tongs, a hookah hose, and Mya rubber grommets. Additionally, many Mya hookahs come with their own carrying case, ensuring that your hookah is safe and sound when in transit. Order Your Mya Hookah Today! Don't settle for second best when choosing a hookah. When you purchase a Mya Hookah, you will know firsthand what top-of-the-line quality is and will experience a smoke unlike any you've ever had. And with so many styles to choose from at SouthSmoke.com, you're sure to find the perfect Mya hookah for you.The level of craftsmanship and consideration of Mya Saray hookahs have been satisfying customers for years. Isn't it your turn to enjoy one of your own? Contact us and put in your Mya hookah order today!